In a society where public memory is as short as a rubber band, Greer Garson remains largely unknown. History finds her only in the most obscure corners, possibly advertisements for how to create superbly arched eyebrows. But in Hollywood from the late ’30s to the early ’50s she was a top commodity, in some ways more important than the Bette Davises of her day. Richard Dyer has put forth the idea that Hollywood stars have the power to become stand-ins for values undergoing crisis,1 and Greer Garson, specifically in her 1944 role as Kay Miniver, became a beacon of strength in that tumultuous time. During WWII America and its allies were fighting for the future of the free world, and in her “great lady” roles from the early to mid-1940s, Garson embodied all that was fine and worth fighting for. 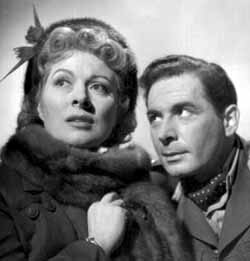 Where other stars merely supported propaganda, Greer Garson was propaganda on screen and off. She became as important to the war effort, to the war of ideas, as any bombshell. In life she was quite different from her characters: modern, incredibly intelligent, and fiery. After the war, changing times necessitated a star image that was light on the austerity and heavy on the hot sauce, an image more akin to the woman behind the propaganda poster. This publicized attempt at the truth failed, her career faltered, and this essay will examine why. Garson’s first impression on the American public was as the sweet English rose, and the publicity supported this image. What the papers didn’t report was how unhappy Garson had been at her casting as Kathie Chipping. Privately she expressed concern to one of her friends at the studio, who recounts her asking, “I haven’t done any American films yet. How can I go back to England? How can I do anything with that sparrow of a woman? The role is a first act curtain.”4 From the start she disliked and could not empathize with the character who in some ways would be the blueprint for her future as an actress at MGM and the cause of her later displeasure at always being typecast. But her performance as Katherine Chipping showed that she could convincingly and forcefully portray a woman of strength, albeit quietly and demurely, who changed those she touched for the better. Whatever cognitive dissonance this split produced, this would be how the public would come to know and love Greer Garson. Moviegoers did not reach this conclusion by themselves, as the publicity machine was determined to extend her characterization of Kathie to her public perception. After this first role she was molded into the goddess-like star figure that classical Hollywood always strove to offer. A contemporary article entitled “Glamor Under Cover” by Franc Dillon introduced her star presence as something previously hidden from the public. Her features were revealed to the reader piece by piece: first her eyes, then her well-shaped eyebrows, and upwards to her high forehead. Her signature locks, a natural trademark, were given special attention. Dillon claimed her hair “is pale gold of an indescribable shade, and forms a halo around her rather pale face. She has the creamy complexion that goes with red hair but nary a freckle.”5 This description turned her into a female divinity, her lack of freckles indicating a human being without fault or blemish to mar her complexion. The article also played down her temper, a possible imperfection and point of concern even at this early stage of her career. 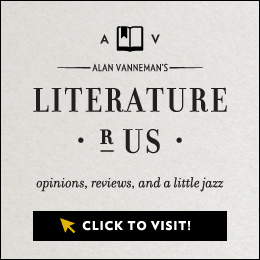 The author even added that she denied possessing such an unsuitable trait herself. What better than to have this from the horse’s, or rather, the publicity machine’s, mouth? Garson was purportedly different and above such temperament, though her personal experiences leading up to Goodbye Mr. Chips spoke to the contrary. Author Dillon finished with the closing remark that “Hollywood will never again be able to keep her under cover!”6 a premonition that would prove true, as her force would be hard to measure. Her next important role was as another esteemed English character, Elizabeth Bennet in Pride and Prejudice (1940). The film costarred Laurence Olivier and a host of other talented, primarily English actors. In this film she was allowed to show off her wit and humor, something she would not really get to do until after her peak years at MGM. Blossoms in the Dust (1941), her first autobiographical role, followed this great lady trope in her portrayal of Edna Gladney, a woman who fought to remove the stigma of illegitimacy from birth records so that all children could have an equal chance at being placed in a loving and caring home. This was her first film in color, and her first role portraying an American, introducing her flaming red hair to the world. It was also her first film with Walter Pidgeon, her most cherished and remembered screen partner. Her Edna Gladney was a woman completely devoted to her husband, just like Kathie Chipping; only in this version her outspokenness indicated an outward strength that would be built upon in her most important film. 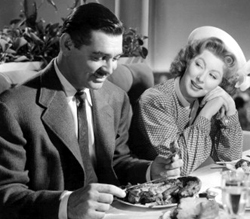 Mrs. Miniver (1942), the film that would define Garson’s public appearance and shape her career, came not long after Pearl Harbor (December 7, 1941). It was made before the rules of war propaganda had been laid out. The Office of War Information’s motion picture manual was not assembled until the summer of 1942,7 yet the film supports some of its tenets, outlining why we fight (the final Vicar speech), who the enemy is (a scene where Garson confronts a German soldier), and the home front.8 In this as yet undefined stage, the home front maintains a close proximity to the war front as England itself was by then a war zone. Though Mrs. Miniver portrays a British family, the intended audience was decidedly Americans preparing for their own combat. It was one of the first films showcasing why Americans must willingly fight and put all of their might into the effort. Kay Miniver is first introduced agonizing over whether or not she should buy a hat that she desperately wants, afraid that she cannot afford it. She decides to anyway and is ecstatic. Beginning with this image sets up the transition from self-involved Kay Miniver of rosy pre-war England to the stronger Mrs. Miniver of the title who shows her true mettle in the way she handles air raids and a downed Nazi pilot in the domestic, feminized space of her own kitchen. 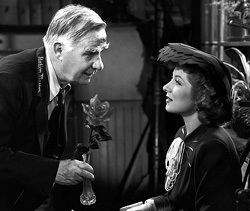 The central symbol of the Miniver rose stems from the pre-war practice of flower shows that go on despite the threat of air raid, binding the ideas of consumerism and pre-war simplicity with what they were fighting for. Garson was transformed from the star of consumption to the star of production, putting her in a propagandized light for the cause of the war, not for the cause of fashion or beauty creams. It might still have been part of her appeal and use, but it was not her primary purpose. Thereafter, Garson found herself trapped in a web of great lady roles. Not that she disliked her characters, only their lack of variety. In Random Harvest (1942) she yet again showed her admirable devotion to a man, in this case the amnesiac played by Ronald Colman. The romance is broken up by a fun number where Garson imitates Sir Harry Lauder’s “She Is Ma Daisy” in a shockingly short kilt. Her next autobiographical piece was on a much loftier subject in Madame Curie (1943). The film was titled Madame Curie rather than “The Curies,” though it is just as much about their discoveries together and Pierre Curie’s influence over his wife’s work as it is about the Grande Madame. Clearly the studio was trying to sell Garson in another respectable role, adding to her prestige by once more having the name of the picture be the name of her character. Mrs. Parkington (1944) mixed things up a bit as her character transitions from young adulthood to old age with signs of life under the petticoats. The same can be said of The Valley of Decision (1945), where she was cast as a spunky Irish maid. This was the beginning of the subtle change in her roles before her career started to decline. After the war was over, the industry grew tired of Greer Garson. Ziegfeld Follies (1946) perfectly simulates the changes in Garson’s status in light of post-war cynicism. In the film Judy Garland performs a number entitled “The Great Lady Has an Interview,” the “Great Lady” referenced being Greer Garson. As shown by the popularity of noirs and crime thrillers of the late ’40s and ’50s, grand characters were no longer in vogue and were not to be trusted. In his biography of Judy Garland, Christopher Finch claims the character in the sketch is “haughty” and “as wholesome as a slug of absinthe.”14 Such aspersions on Garson’s great characters did not occur until after 1945 and would seem unthinkable during the war. The character Garland portrays is an “amorous, glamorous lady” who has had one great hit after another but wants nothing more than to be a pinup girl and show off her legs rather than her dramatic talent. She muses, “Must the roles I play be tragic, full of Oscar winning magic, should I drain the cup of drama to its dregs?” This clearly referred to Garson’s vocal protestations about all of her dramatic roles. The most pointed remark is when Garland as Garson reveals her next picture, “Madame Crematon: Inventor of the Safety Pin!” The plot of this silly discovery then becomes an equally silly musical number, showcasing the incongruity when a dramatic star starts doing soft shoe. The number also points to the pretense of the screen image. Garland gets up on a table to place herself in a supreme position for her interview, swarms of photographers at her side. She signals to her butler, who turns a movie light on her. Only then is she ready to give the interview. What was once glorified was now mere fakery. In light of this change, Garson was finally allowed to have a little fun with her roles and with herself, though the scripts provided little chance for success. In her first try, Adventure (1945), she plays a sharply intelligent, shut-in librarian who is liberated by Clark Gable. The message was clear: Garson must change, and the commentary extended into views of her personal life as well as her filmic one. 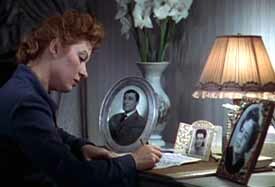 An article in Motion Picture magazine aptly titled “Greer Garson — The Duchess” sought to uncover the truth behind the fabricated Miniver façade, claiming that many of the fan magazines had it wrong. In truth, he wrote, “Greer is a super-sensitive, smoldering bonfire in bustles and petticoats, and as modern-minded as they come . . . She’s a lady who packs a terrific Sunday punch, and knows just when to throw it.”15 Author Charles Samuels then described the Sunday punch for those who might not be familiar with the term as a boxing reference, a last effort by a fighter on the ropes and without hope, just as Garson was trying to revive her career. Through Adventure she was seemingly liberated from her previous image both filmically and in reality, as the film and the article attempted to represent her as she truly was, or at least in a way that might maintain her popularity in view of changing film tastes. Samuels continued in this vein by quoting Garson as saying, “Why should I shut myself up and miss all this sport?”16 She even uses some slightly off-color language in Adventure to show Clark Gable’s character that she can be just as rough and tumble as he is. Hearing Garson say “Hello handsome! How are ya good lookin’?” and “I’m all warmed up and ready to take off . . . loosen up the throttle, big boy I’m high on high octane!” just doesn’t feel right, somehow. 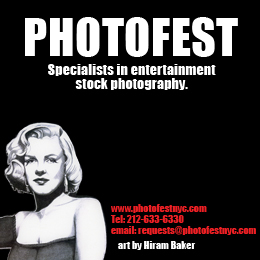 The picture did not fare well commercially or critically. Her next films followed this trend of making fun of her previous screen image. In Julia Misbehaves (1948) she plays a former dance hall girl who does all sorts of broad comedy from imitating sea lions to tripping around in mud. She even performs a song and dance with acrobats. The most blatant reference to the earlier Garson occurs when she is getting on a train and one of the acrobats asks her to marry him. In an almost exact restaging of Goodbye, Mr. Chips where in the previous version she happily replies yes, in this version she can’t hear him and tries in vain to make out his words as the train pulls out. Everything previously beautiful was now a joke. The ultimate message was sent in The Miniver Story (1950), when they killed off Mrs. Miniver like a tired soap opera character ready for the open elevator shaft. In the film Garson’s best-known character becomes ill and through the course of the narrative makes peace with her own mortality. Garson had no more war to fight, so she was no longer useful. The plot really speaks for itself, though at least in this film, unlike the previous farces, a beloved character dies a graceful death as opposed to slipping on a banana peel. Despite some of the asinine scripts that were thrown her way, there must be another reason, a public reason that she did not succeed. The transition from straight drama to ridiculous slapstick comedy was poorly made because it was too drastic a change. Aside from the fact that it was pre-Miniver, I think that this is the reason that Pride and Prejudice worked. She maintained her Englishness, her charm, and her humor without straying too far from the confines of her image. Her pictures made post-1945 sought to completely alter her star image, and the public would not have it. Such a change created a persona in conflict with her status as a womanly ideal during WWII, making her new image seem false. People did not want to think of Garson in the future, only in the past. This explains why her characters pre-1945 were often of a different time, if not in date at least in spirit and ideals. The few roles she played later in life often returned to this trope, from her portrayal of the stalwart Eleanor Roosevelt in Sunrise at Campobello (1960) to the candy-coated charm of Disney’s The Happiest Millionaire (1967). Her image was always of nostalgia, and her inability to evolve successfully in the late ’40s showed that even post-war she still represented ideals in crisis. In this case it was not a need to move forward, but a desire to go back. In “The Great Lady Has an Interview” Judy Garland asks a horde of dancer photographers, “Would my public quite forgive me, if I tried to show the world I’m really hip?” The answer, unfortunately for Garson, was no. Meredith Hicks is an MFA candidate and recent graduate of the University of Pittsburgh where she earned a BA in Film Studies. She has previously written articles for Raindance Film Festival.